The German contact lens manufacturer MPG&E was founded by former employees of the renowned optical pioneer Carl-Zeiss. The stated objective of the MPG&E group, which was founded in 2000, is to produce the world's best contact lenses at the same time as creating real customer loyalty. 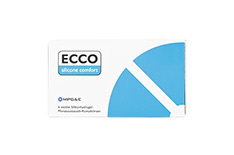 ECCO contact lenses are distinguished by cutting-edge biocompatible materials and innovative geometries. The biocompatible active agents in ECCO contact lenses are significantly better at binding moisture in lenses than conventional materials. The result is a vast reduction in irritation to the eyes caused by dryness, leading to longer-lasting comfort for the wearer. Immune reactions caused by lens intolerance are minimised, along with the problem of red eyes. Furthermore, the aspheric lens design featured in the ECCO Change 30 AS contact lens guarantees a marked improvement in vision, even in the case of slight astigmatism. Aberrations in poor light conditions are also prevented. 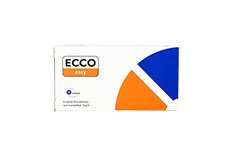 When fitted correctly, ECCO Easy T toric contact lenses reliably correct defects of vision caused by astigmatism. 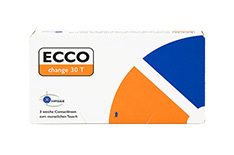 ECCO Change One Day UV daily lenses are spherical contact lenses designed for single use. Daily disposable lenses are especially recommended for people who wear glasses and only use contact lenses on an occasional basis, as well as those who like to insert lenses that are completely clean and hygienic every day. 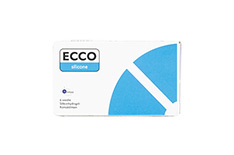 Order ECCO contact lenses from the Mister Spex online store for fast delivery to your door. 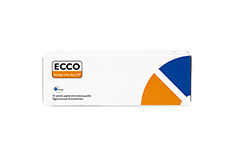 ECCO contact lenses are generally packaged and dispatched within 24 hours of you placing your order.